Cover of Compassion on New Year Eve. 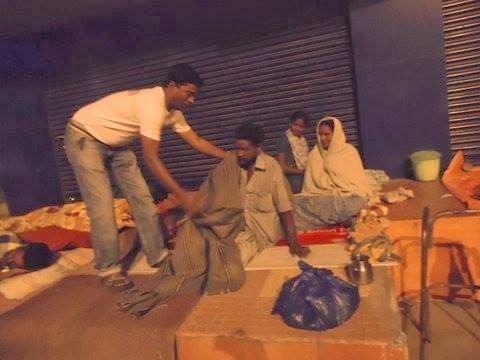 On 31st December 2013, when people across were busy with new year celebrations, IDF team - Mr. Sreeram and Mr. Satyamurthy - travelled through the streets of Chennai and provided blankets to the people sleeping on the pavements & streets. Cover of compassion a matter of great satisfaction as the team provided new year gifts with lots of love. IDF has been providing blankets in the leprosy colonies in Bihar / Jharkhand/Rajasthan / UP/ Uttarakhand and other northern region. We also distribute blankets to the elderly people in Nilgiris in Tamil Nadu, BR Hills in Karnataka and couple of hilly terrains in India. 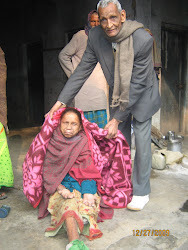 Our requests all to help in providing blankets to the poor and the needy leprosy patients in colder regions. The requests are pouring in for further support. It is the time to show your love and warmth to the have-nots in the society. Cost per blanket is quoted as Rs.250/= per blanket. All smiles on the faces of the elders as they were greeted on New Year eve. On 31-12-2013, team Indian Development Foundation visited Assisi Bhavan Oldage Home, Goregaon East, Mumbai to share joy and happiness with the elderly citizens. Volunteers from Vivek College, Aam Aadmi Band, UPG College, Symbiosis, WAH and Oracle joined Team IDF to celebrate new year at Assisi Bhavan. Ajay Pillay and Shashank Shetty gave a musical treat while the visiting members greeted the elders by honouring them with shawls and presenting sweets. Rev. Sr. Janet, Superior and Rev. 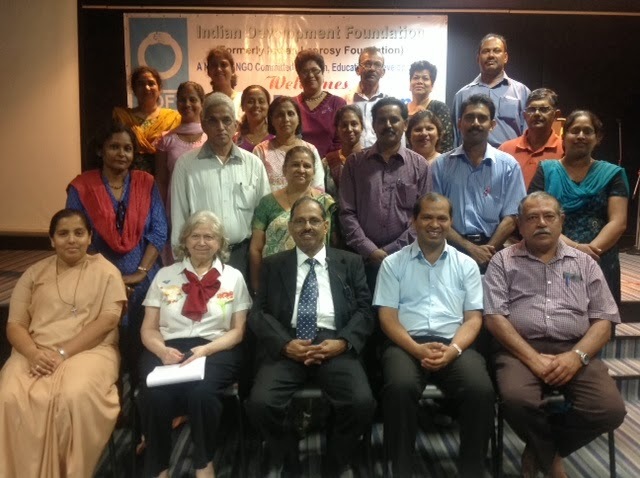 Sr. Isabel from the Centre thanked Dr. Narayan and team IDF for the wonderful and benevolent gesture. It was indeed a meaningful new year celebrations, the visiting volunteers expressed with a smile. IDF presented a certificate of appreciation to Ms.Rachita Kapoor for successfully completing her social internship with IDF. 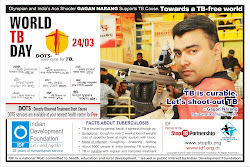 IDF has been organizing similar programmes on festive occasions in all the projects/ Bal Gurukuls in India. IDF WISHES YOU ALL A HAPPY NEW YEAR !!! On the New Year eve, Team IDF visited M. N. Banajee Industrial Home for the Blind, Jogeshwari (E), Mumbai and presented sweets and gifts to the trainees and inmates of the Home. Mr. S. Shreeram, COO of the Home thanked Dr. Narayan Iyer and Team IDF for celebrating New Year in a meaningful manner. 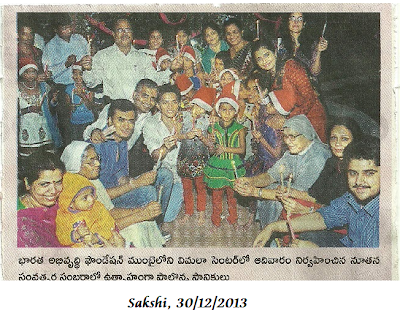 Volunteers from Aam Aadmi Band and Vivek College joined Team IDF to share joy and happiness. Ajay Pillay and his friends felt extremely happy to celebrate New Year with the visually challenged persons. The visit reminded of the best quote from Helen Keller "The best and most beautiful things in the world cannot be seen or even touched - they must be felt with the heart." IDF has been organizing similar citizens reach-out programmes on festive occasions in all the centres/ projects/ Bal Gurukuls in India. Indian Development Foundation organized a citizens' reach-out programme at Vimala Dermatological Centre (a leprosy hospital) in Mumbai to welcome New Year 2014 with a difference. This is the 31st reach-out programme organized by IDF. Guests of Honour included - Dr. Vandana Lulla, Dr. Suresh Nair, Mrs. Latha Venkat, Mrs. Indrani Balan, Ms. Niveditha Rai, Rtn. Aunali Rupani, Rtn. Sana Rupani, Rev. Sr. Bertilla and Dr. Hari Vasudevan. Volunteers from Vivek College, SVKM Law College, Symbiosis, UPG College, NMIMS, DJ Sanghvi College of Engg., Bhavans College. 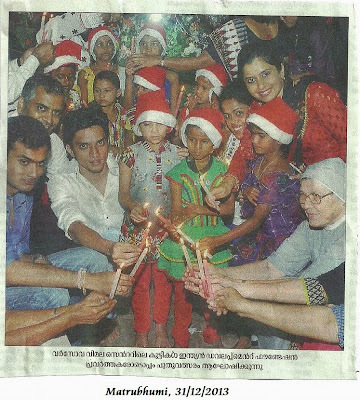 WAH Group, WAH Kidzania, Bunts Group, Rotary Club, Oracle, Ipca Laboratories and others participated in the mega event to spread joy and happiness among Vimala Centre inmates and children. Parle products donated biscuits while Royal Fashion donated towels. Vivek College NSS team put up a skit on education, WAH group and WAH Kidzania made a thrilling entertainment while the Aam Aadmi Band gave a soul touching musical performance. Indian Development Foundation (IDF) provides blankets and sweaters to the Sumanahalli leprosy project. IDF zonal officer Mr. R. Ramakrishnan handed over the woollen blankets to Fr. Peter, director, Summanahalli project. IDF has been providing blankets in the leprosycolonies in Bihar / Jharkhand/Rajasthan / UP/ Uttarakhand and other northern region. We also distribute blankets to the elderly people in Nilgiris in Tamil Nadu, BR Hills in Karnataka and couple of hilly terrains in India. Our requests all to help in providing blankets to the poor and the needy leprosy patients in colder regions. The requests are pouring in for further support. It is the time to show your love and warmth to the have-nots in the society. Let's do it now before it is too late. Our target is to provide at least 3000 blankets during this winter. 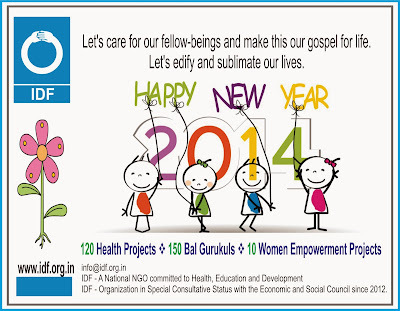 ur requests all to help in providing blankets to the poor and the needy leprosy patients in colder regions. The requests are pouring in for further support. It is the time to show your love and warmth to the have-nots in the society. Let's do it now before it is too late. 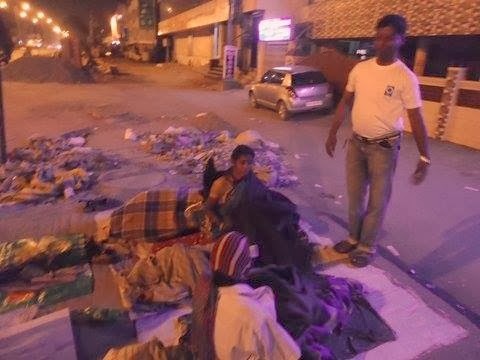 Our target is to provide at least 3000 blankets during this winter. Cost per blanket is quoted as Rs.250/= per blanket. Indian Development Foundation distributed prizes at RSK Primary, School. Ms. M. Manimala, from IDF thanked the students, parents, teachers, and the Principal and the Vice principal for their continued support to the mission of IDF. IDF appreciates the efforts of RSK Primary, School !!! IDF- Centre of Excellence, Bangalore. Indian Development Foundation (IDF) is coming up with Centre of Excellence - a holistic sustainable development model. The first project will be started in Bangalore. The initial cost of construction is INR 1.5 crores, we have already raised 25 lakhs from various supporters. The work has already been started and we plan to complete it by July 2014. We seek your kind support and financial assistance for this noble project. 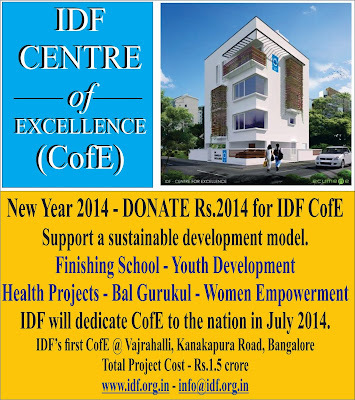 IDF CofE will be a great boon for empowering youth in this country. It will be a kind of finishing school for the graduates/ engineering students who will be trained before they enter the market. We could see a large number of graduates/ engineers from rural India are unemployable despite their qualifications. Youth development should be taken as a cause and we thought it fit to take it through IDF CofE. Incidentally, the centre at Bangalore will have women empowerment and also an IDF Bal Gurukul. 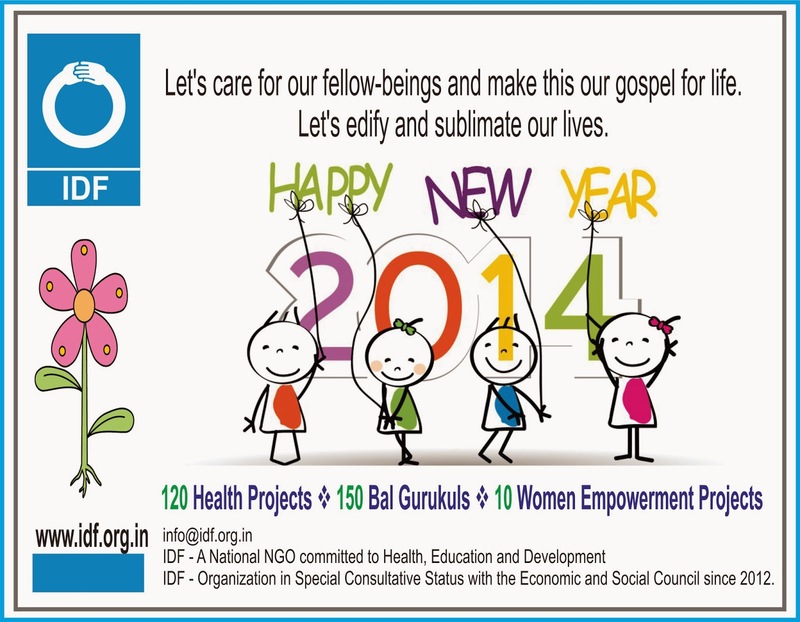 Once the project of IDF CofE gets successful, we will scale it up to different cities/ villages in India. Kindly donate ₹ 2014/- and help in completing the project in 2014. Indian Development Foundation (IDF) conducted Health Awareness Program (HAP) & TB awareness Program for Lions club of Bangalore west at Aacharya Patasala, N.R.Colony, Bangalore. 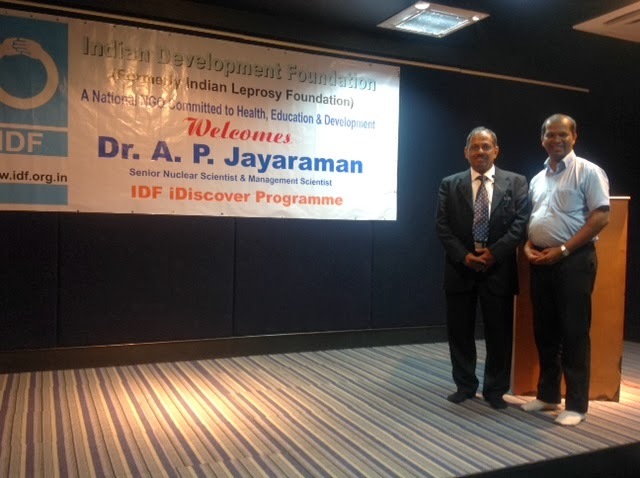 The Programme was conducted by Mr. Arulraj and other IDF members. Approximately 200 students and 34 members from lions club were present. Students were very attentive throughout the entire session. Students were shown Videos on symptoms, preventive measures, effects and general information on health awareness.Principal and Teachers were also very much impressed by the efforts of Indian Development Foundation. Principal Thanked the IDF team and Lions club for their efforts. IDF appreciates the continued support. IDF celebrates New Year, Vimala Center. 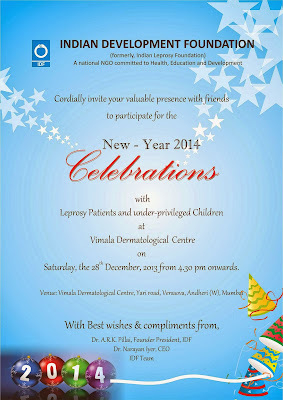 Indian Development Foundation celebrates New year with the inmates & children at the Vimala Dermatological center, Yari Road, Versova, Mumbai. All are cordially invited to spread the goodness. 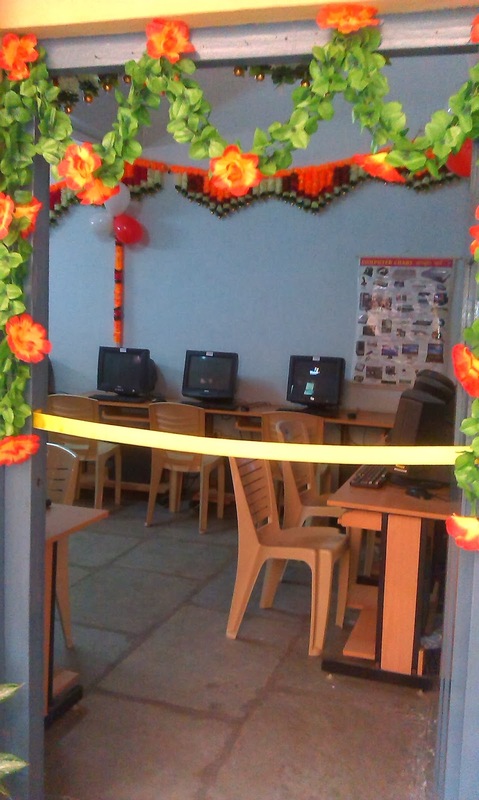 Yash Technology establishes computer labs in IDF Bal Gurukuls @ Hyderabad. 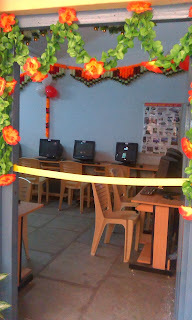 Indian Development Foundation thanks the management team of Yash Technologies for the noble gesture in helping to set up a computer labs in two IDF Bal Gurukuls - Andhra Saraswathi Balika Pathashala , Feelkhana, and Kasturba Gandhi National Memorial Trust, Hydershakote, Hyderabad to impart " RIGHT EDUCATION" to these special children. Yash technologies is a leading global enterprise and business solutions provider. Yash is a classic example of Indian origin company going global with presence spread across the world - US, Europe, Asia and Australia. IDF in its diversified objectives has included education programmes into its fold. Education to the poor and the marginalized children in rural areas, tribal villages, urban slums and the handicapped,is a priority concern for IDF. Education gives empowerment in employment areas, commercial activities, health care and in fact Total Quality of Life. In our country there are still many first time school-goers in a family. In such cases, the parents are not able to guide their wards on education matters. 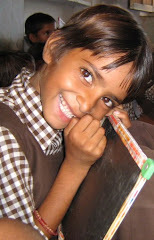 There are families who with great difficulty send their children to government schools. Those of who are capable monetary-wise provide their wards with tuition facilities. However, there are still several children attending schools but do not get proper educational guidance from home. Indian Development Foundation (IDF) has found a method to remove this barrier by opening up `Education Programmes' OR `Bal Gurukuls’ in India. From a humble beginning of 5 students in a tribal area of Karjat, IDF now has 140+ Bal gurkuls and covers over 8000+ students in India under this empowerment programme. Promoting right to " RIGHT EDUCATION" has been one of the focus areas for IDF. IDF also focuses on Women Empowerment Programmes providing adult education and vocational training to women folks under - Sarva Sakhi Swabhiman (Project S-3). I am sure this small beginning will go a long way in helping these children gain skills on computers which will certainly help them in their course of life. Mrs.Rama for the excellent support. Dr. A.P. Jayaraman @ school in Goa. Dr. A.P. 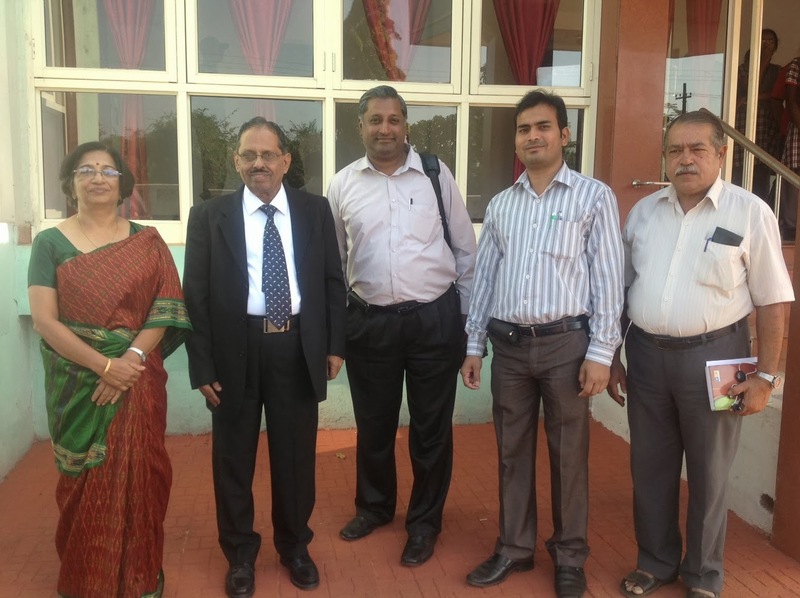 Jayaraman, Nuclear and Management Scientist and Trustee of Indian Development Foundation (IDF) spoke to the Principals & Schools of school in Goa. The session aimed at inculcating Thinking Skills with scientific approach towards academics. IDF appreciates the efforts of Mr. Mathew CA, Mr. Mario Quadros and schools for co-ordinating the entire programme. Also thanks to all the Principals and Teachers for contributing for social causes. 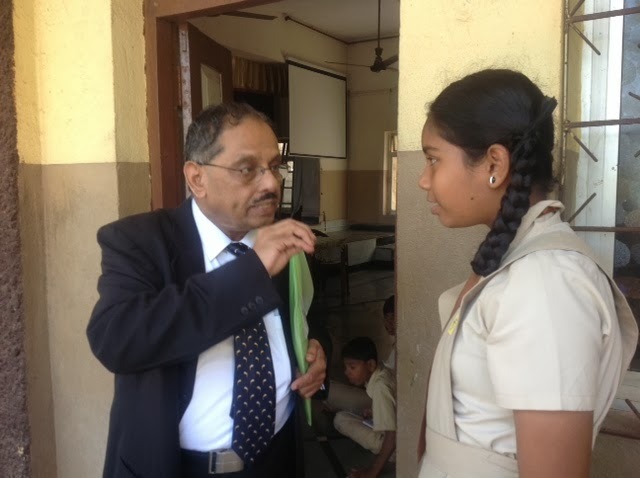 Dr. Jayaraman @ Pope John XXIII High School, Quepem, Goa. Dr. A.P. 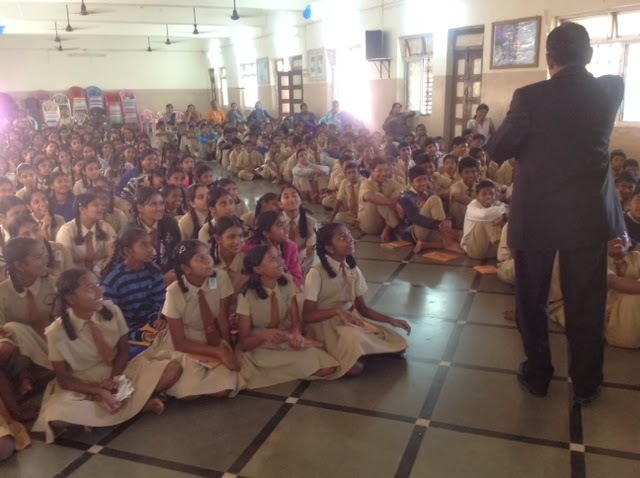 Jayaraman, Nuclear and Management Scientist and Trusteeof Indian Development Foundation (IDF) spoke to the Principals, Teachers & students of school in Goa. The session aimed at inculcating Thinking Skills with scientific approach towards academics. IDF appreciates the efforts of Mr. CA Mathew, Mr. Mario Quadros and schools for co-ordinating the entire programme. Also thanks to all the Principals and Teachers for contributing for social causes. Indian Development Foundation (IDF) appreciates the efforts of the students and schools, Annual Awards Function @ Goa, 13/12/2013 for their support to the causes of social development. 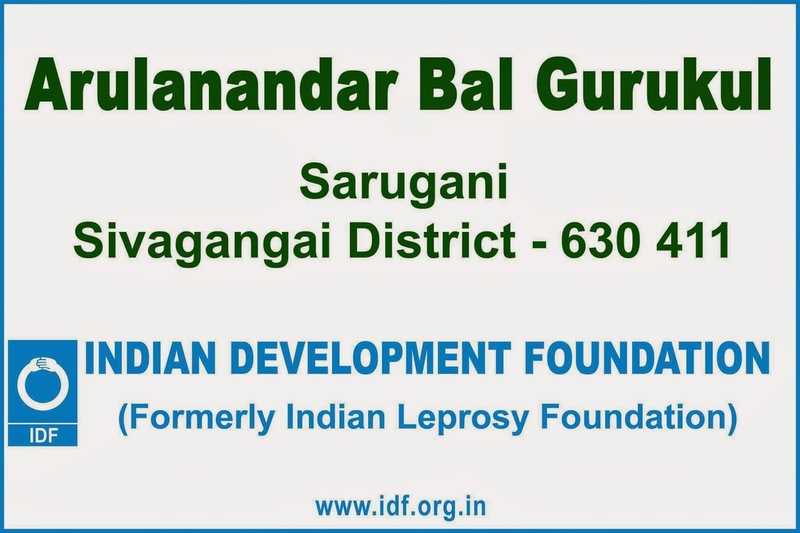 Indian Development Foundation (IDF) launch Arulanandar Bal Gurukul on 11th December 2013 at Sarugani, Sivagangai District, Tamil Nadu. Cover of Campassion @ Kusumghatta, Dumka, Jharkhand. 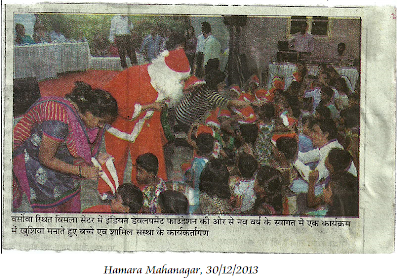 Indian Development Foundation (IDF)provides blankets and sweaters to the needy at kusumghatta, Dumka, Jharkhand. IDF has been in the forefront in mobilising blankets and providing it to leprosy-affected persons in the leprosycolonies in Bihar / Jharkhand/ Rajasthan / UP/ Uttarakhand and other northern region. 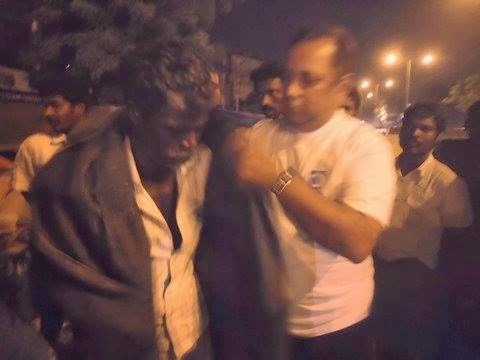 We also distribute blankets to the elderly people in Nilgiris in Tamil Nadu, BR Hills in Karnataka and couple of hilly terrains in India. Our requests all to help in providing blankets to the poor and the needy leprosy patients in colder regions. The requests are pouring in for further support. It is the time to show your love and warmth to the have-nots in the society. Let's do it now before it is too late. Our target is to provide at least 3000 blankets during this winter. Dr. A.P. 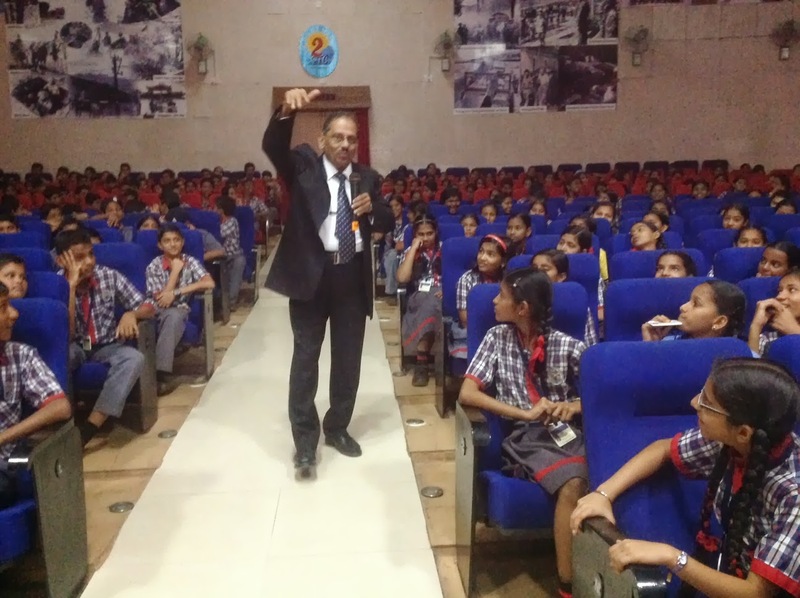 Jayaraman, Nuclear and Management Scientist and Trustee of Indian Development Foundation (IDF) spoke to the students KV Bambolim, Goa. The session aimed at inculcating Thinking Skills with scientific approach towards academics & life. IDF appreciates the efforts of Mr. Mathew CA, Mr. Mario Quadros and school for co-ordinating the entire programme. Also thanks to all the students for contributing for social causes. IDF AIDS awareness rally at Thiruvanamallai. Indian Development Foundation and Vignesh International School, Vignesh Polytechnic College & Kendriya Vidyalaya, Thiruvanamallai organized World AIDS Day awareness rally on December 7, 2014. Though the numbers of HIV cases are coming down in India, still we need to have concern for those affected with this dreaded disease and who die out of it. We can STOP HIV/ AIDS only through proper awareness and education. 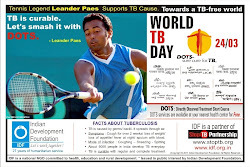 World AIDS Day gives us an opportunity to take part in the massive campaign and spread the message. The only strategy seems to be prevention and control through appropriate education. Ignorance, Myths & Stigmatization even almost decades after initiation of the control programs proves to be the nemesis of the prevention controls. 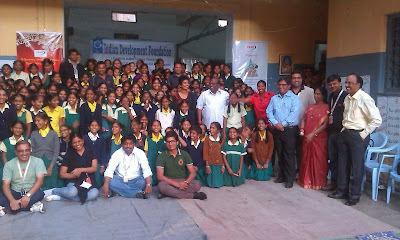 Indian Development Foundation conducted the Janyaa prog in bangalore. IDF distributes the Janyaa scientific kit to the schools at BBMP composite college, Banappa park, KG Road, Bangalore . BBMP Education committee chairman Mr. kothanda Reddy , Education officer , and three members of BBMP Education committe attended the distribution function. 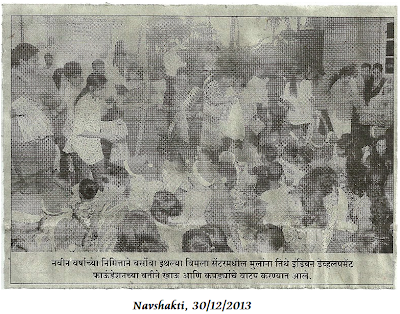 80 teachers attended the programme. Educational officer thanked and praised IDF for the support towards BBMP schools. IDF appreciates the social concern of the schools. Sri Vasavi Mat. Hr. Sec. School, Narasimachetty road, Shevapet, Salem supports IDF. Mrs. N. Poongodi, Vice Principal, Presenting the student prizes for the extending support to humanitarian programme. Sri Vidya Mandir Matric. Hr. Sec. School, Rasipuram supports IDF. Presenting Certificate of Appreciation to Mr.P.Krishna Moorthi, Principal for extending support to humanitarian programme. Rev.Fr.Victor SunderRaj, Correspondent , Diocesan Mat schools , Salem receive IDF Publication from Mr.M.Rangasami. Salem Sri Sowdeswari Matriculation School, Kondalampatty, Salem, Supports IDF. Mr. M. Rangasami IDF Presenting certificate of Appreciation to Ms. Vedasarada, Principal, for extending support to humanitarian programme. Selvam Matric higher secondary school, trichy road, Namakkal supports IDF. Presenting certificate of appreciation to Mrs.Premilavalsan,Co-ordinator for extending support to humanitarian programme. Municipal Girls Hr. Sec. School, Pavadi, Salem, supports IDF. Mr. M. Rangasami, Presenting Certificate of Appreciation to Mr. V. Ganesan, Headmaster for extending support to humanitarian programmes. IDF conducts T.B. & H.I.V awareness prog.